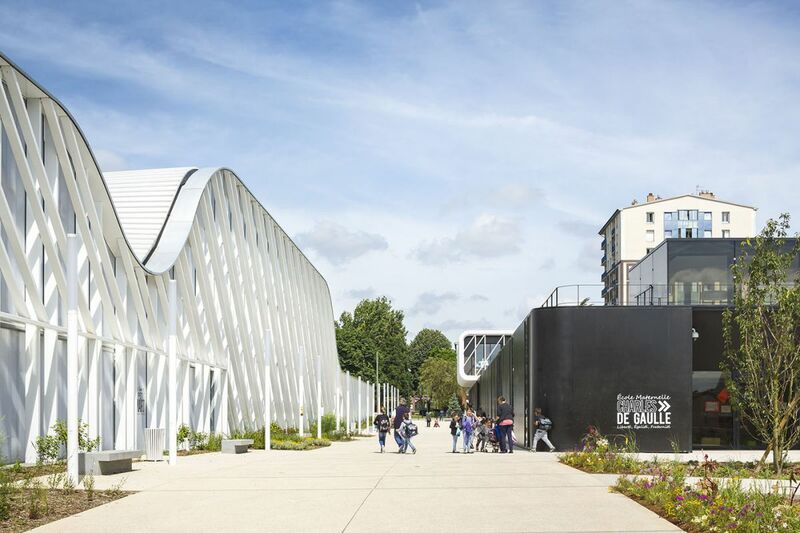 Clamart Sports Center - More Sports. More Architecture. 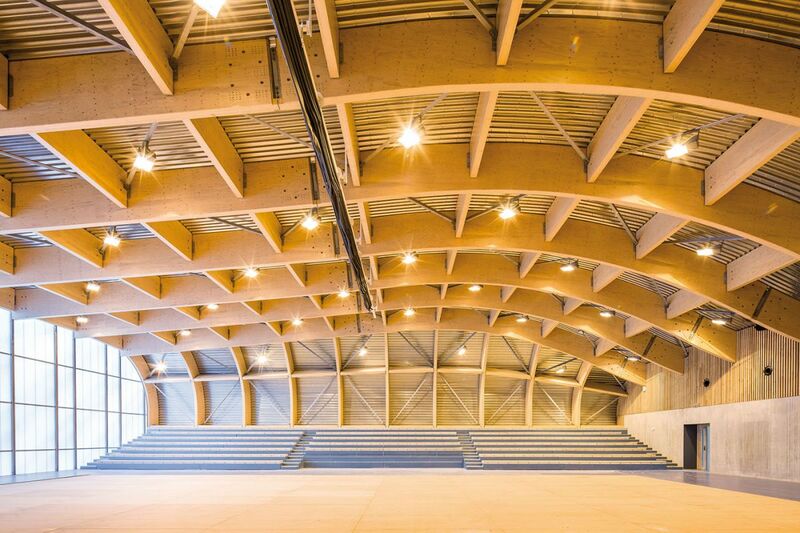 Clamart Sports Center is made out of sustainable wood, tucked under a giant green roof. 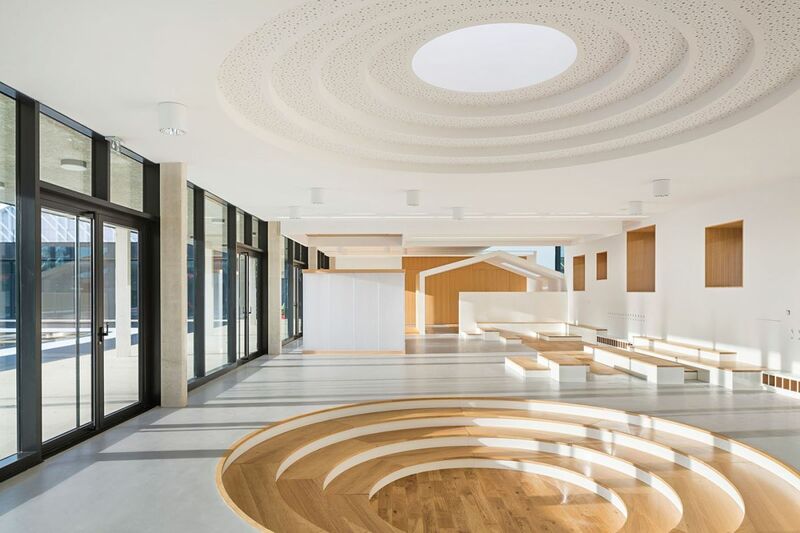 Designed by Gaetan Le Penhuel Architecture, the building houses four schools under a lush field and a huge curved wooden shell supported by structurally efficient laminated wooden beams. 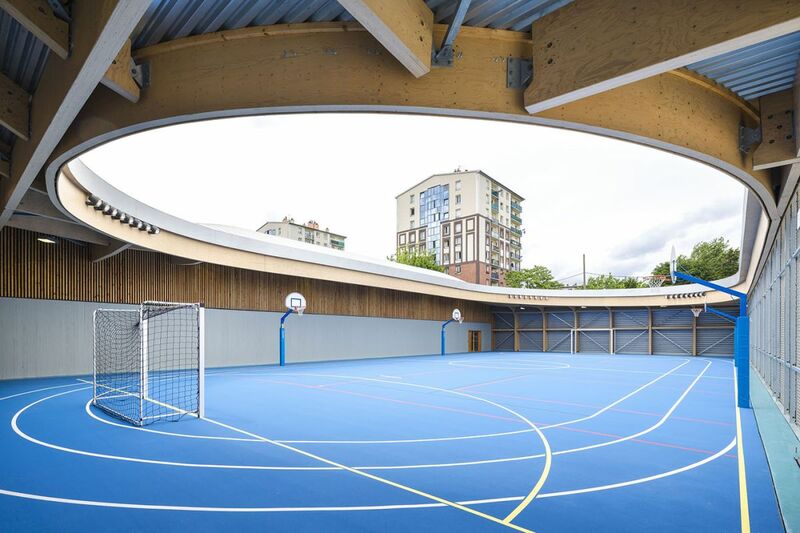 The site is comprised of two main units: the sports complex, under a vast and unique metal envelope; and the school complex, protected by a landscaped plaza, and which is composed of four schools and their shared areas – lunchroom, recreation areas, a cultural center, and a multi-purpose hall with a separate entrance. 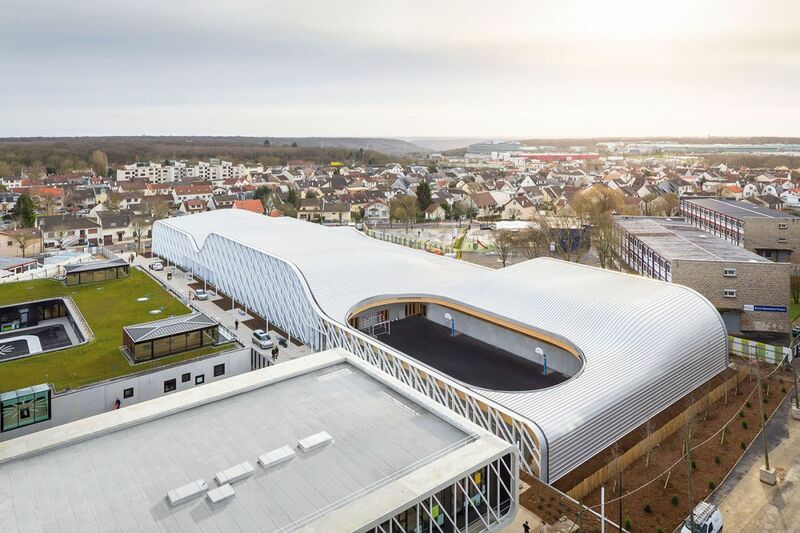 Clamart Sports Center is federated under a single and gigantic metallic envelope. 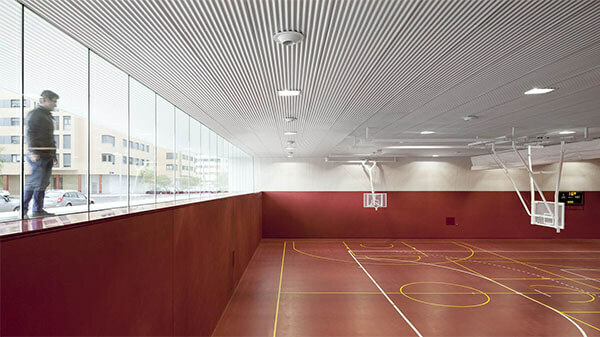 Alternately dilated, dug or curved, as if deformed by the presence of its multiple functions – dojo, gymnasium, evolution area, tennis court – the building has however, nothing of a monolith. This amiable diplodocus is structured by a skeleton of glue-laminated wood, with very long-range. The sports complex is composed of supple curves. 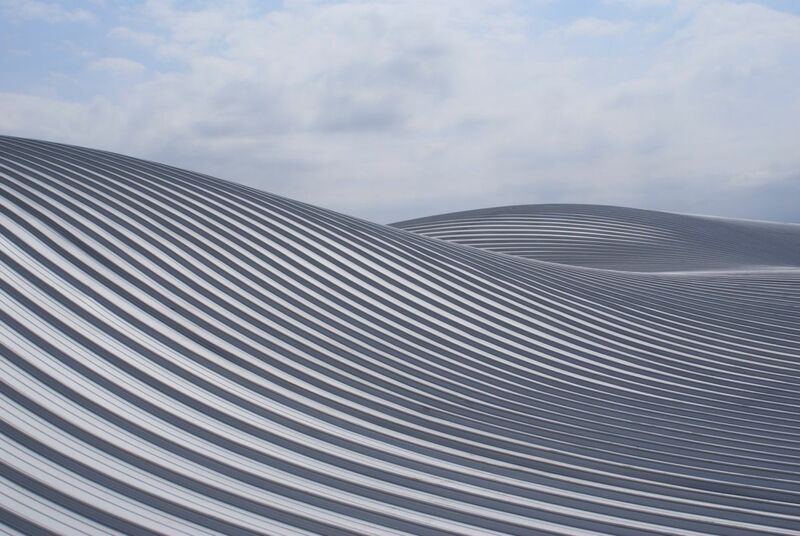 Iimagined as a genuine sports city, its undulating standing seam aluminum envelope also meets the strict technical and aesthetic requirements for design. Touching the ground on its north and south façades, it protects the urban environment from noise pollution. 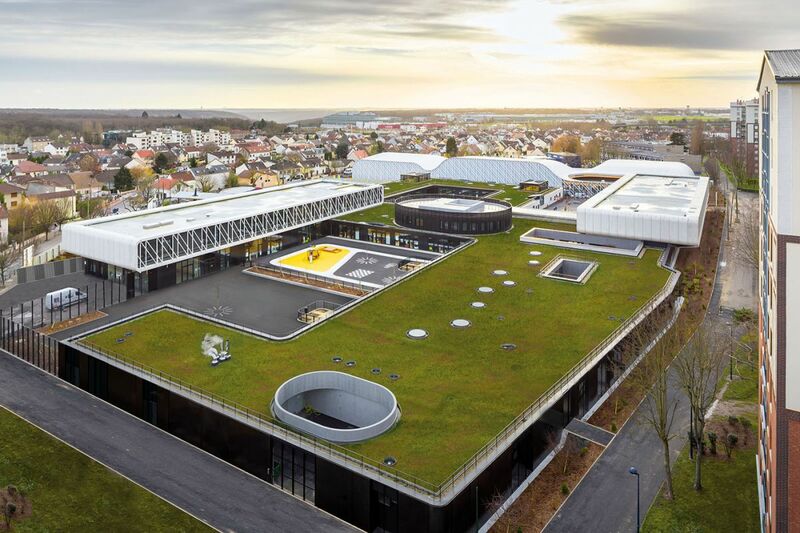 The continuous, hollowed shell housing the gymnasium, changing area, and a tennis court, contrasts with the flat green roof. 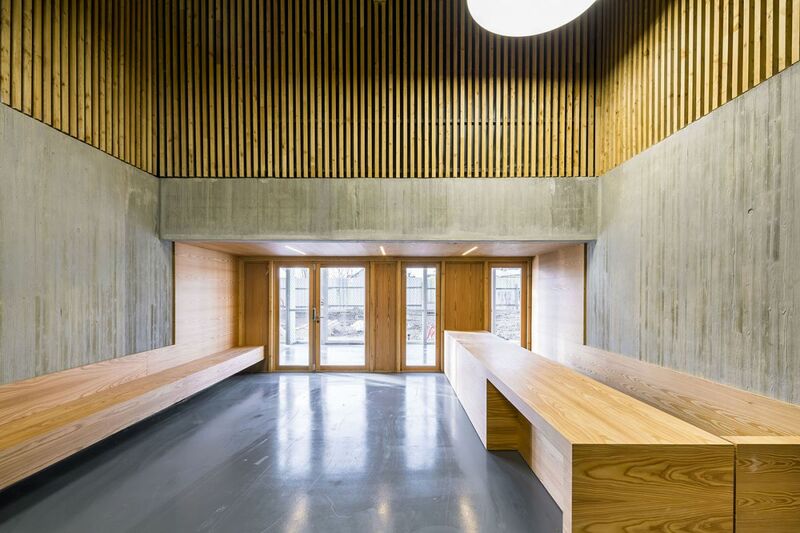 Its laminated wood skeleton was built by Metsä Wood, a Finish manufacturer of sustainable wood products. 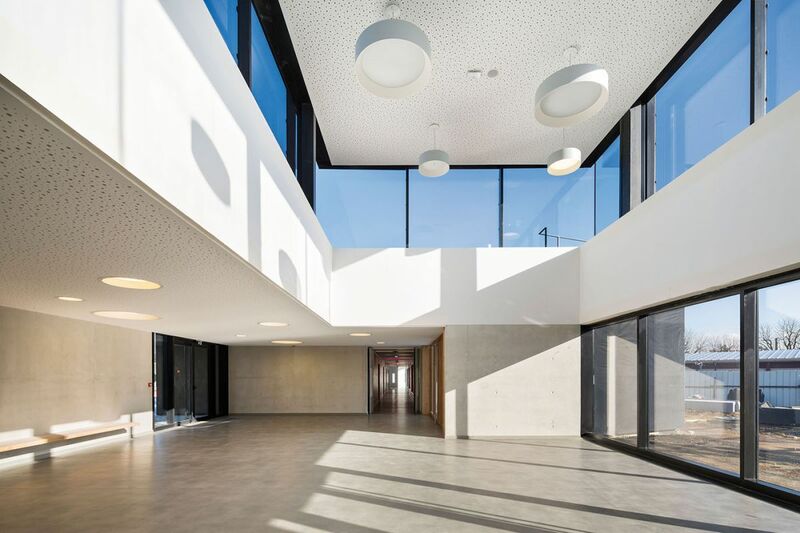 The four schools at Clamart Sports Center, mainly on the ground floor, are nestled under a vast carpet of greenery offering at the sight of the inhabitants an inaccessible raised square, but unifying. 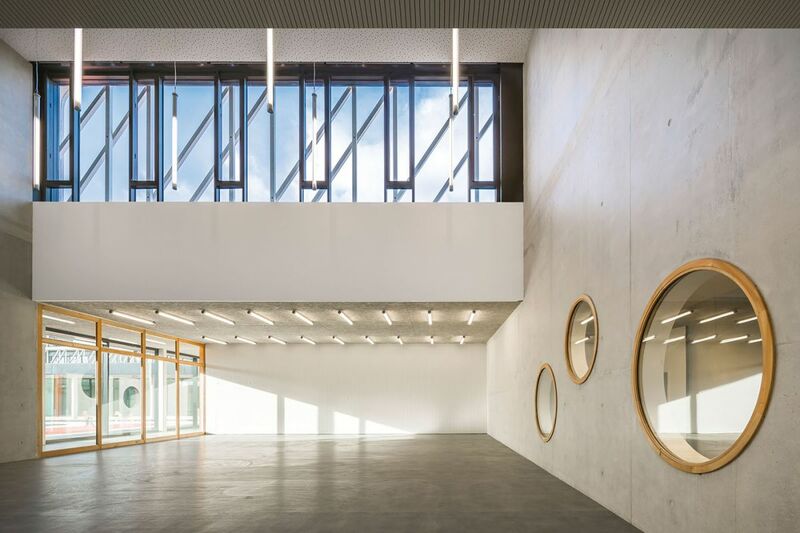 To orientate in this vast ensemble, volumes pierce and emerge from the broad vegetal plate, creating punctual double heights, spatial breaths, openings towards the sky, while pointing out the particular elements of the programs located at first floor. 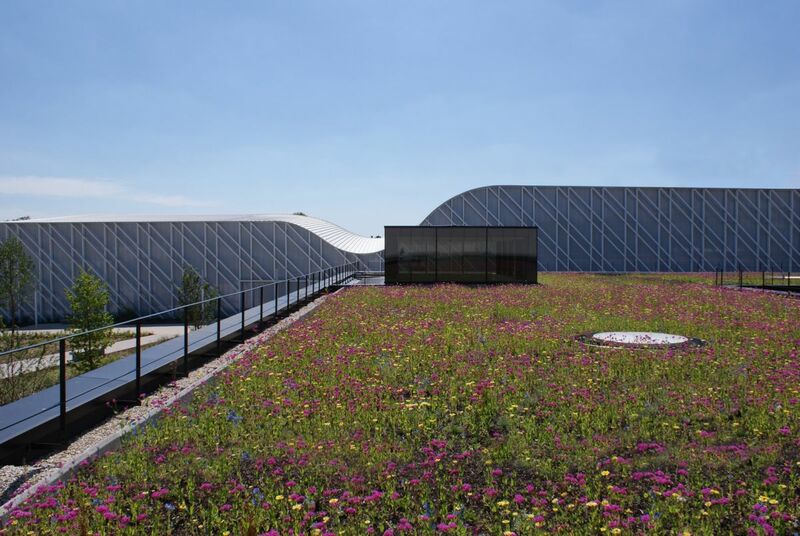 This semi-intensive green roof, planted as a “flowering prairie,” also ensures excellent thermal insulation, hygrometric comfort, as well as optimal retention of rain water, thereby reducing runoff from the lot. Main bearings on this large site consist of volumes cut through this vast ensemble, emerging from the large green cover, creating occasional double height areas, areas of respiration, and openings toward the sky while also signaling the particular elements of the program located on the first floor. The geometric complexity of the structure and the roof present interesting technical challenges. 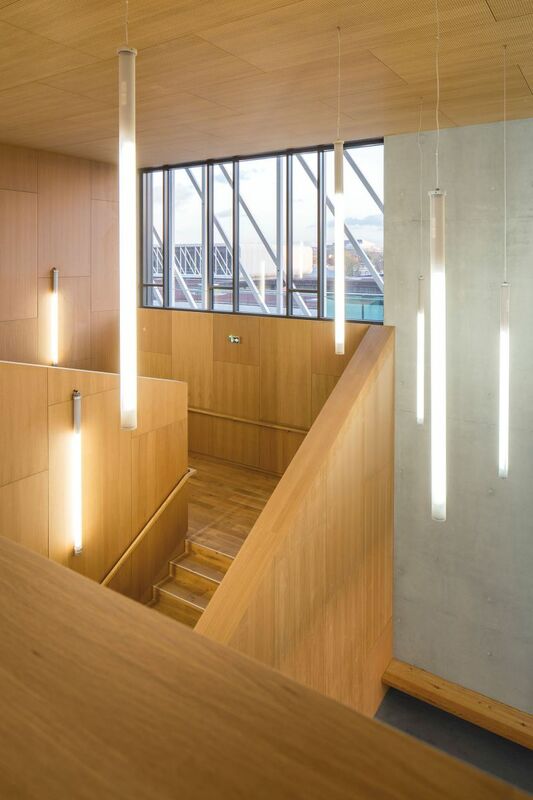 These led the architects to make the ambitious and original choice of utilizing cross-laminated timber for the roof’s complex wide span framework, thereby offering the possibility of making large-scale curved box girders. 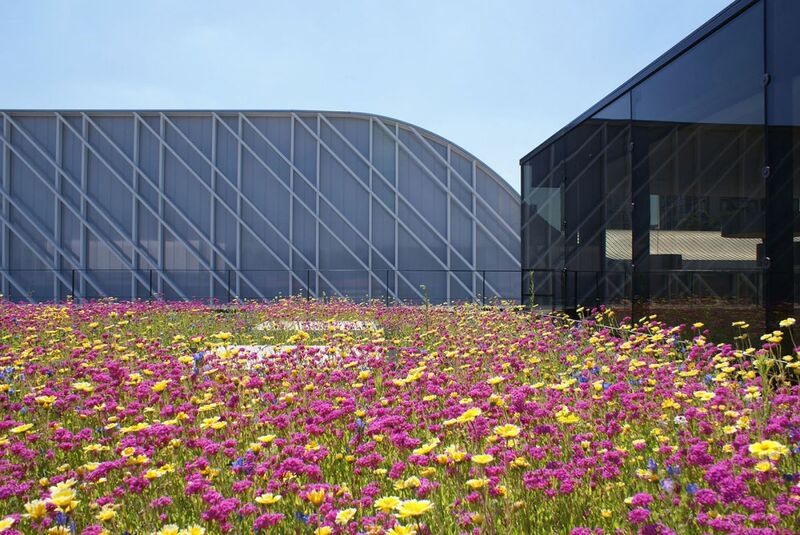 The framework obtained with these large-scale girders creates a cover of approximately 40m x 100m extending from north to south, and joining the ground at either end where the roof gradually becomes the façade. 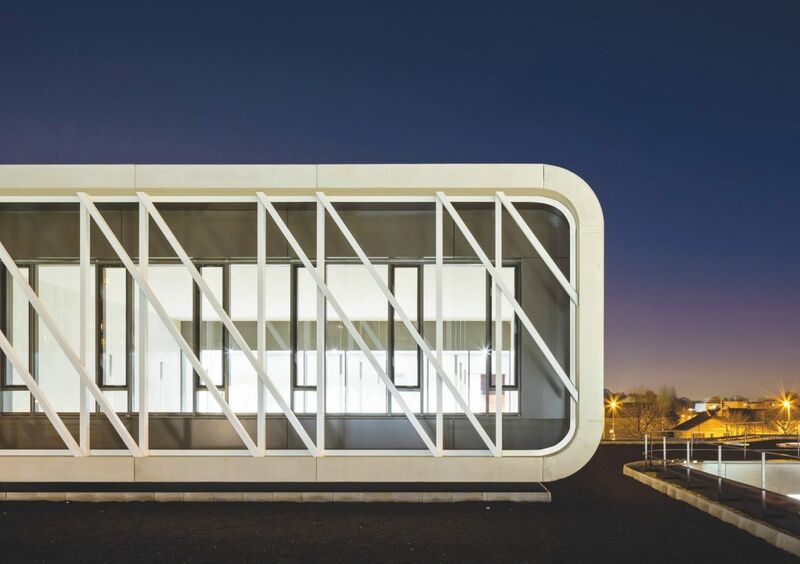 Clamart Sports Centre is really exceptional, not just because of its size but also because of its shape. 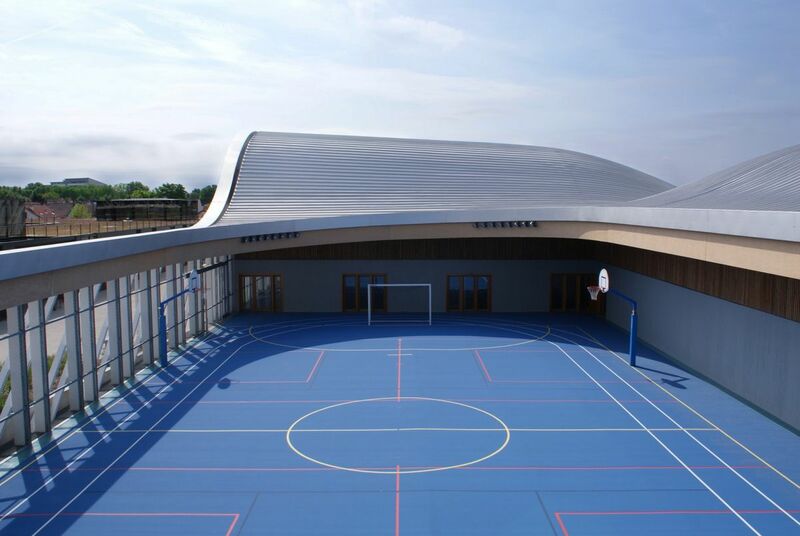 With its curves, unusual dimensions and wide opening in the roof for the track and field area, very few pieces of wood used were identical. 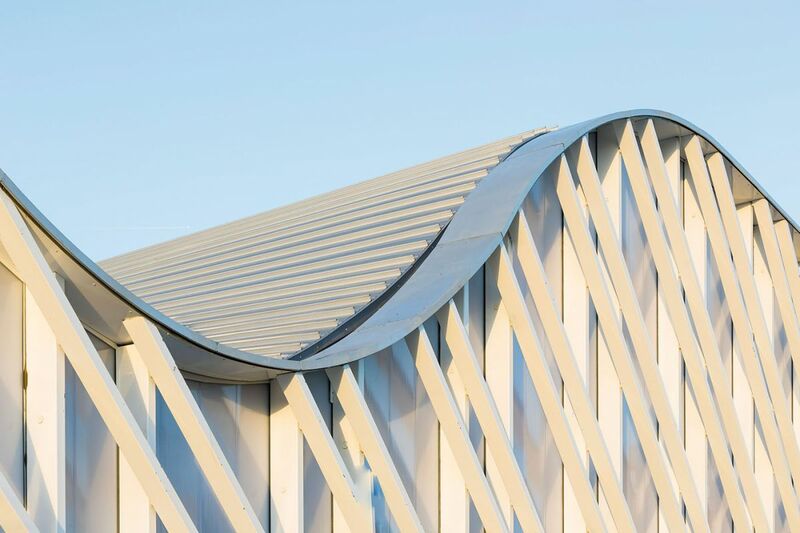 Due to its complex geometry, the roof and framework design of the Clamart Sports Centre posed advanced technical and aesthetic challenges, such as the double curve in certain areas of the roof. 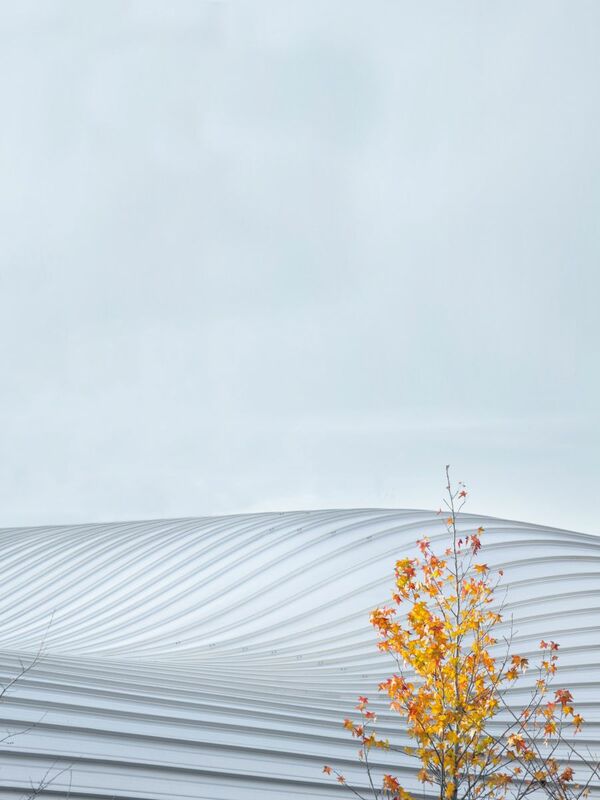 The whole set, schools and sports complex, all in soft and undulating curves, creates a new peaceful artificial landscape embodying the ambition of a shared urban, social and educational environment, favourable to the well-being of its users. If you do not have time to look after your publications, press releases or documentation, please give us a try. 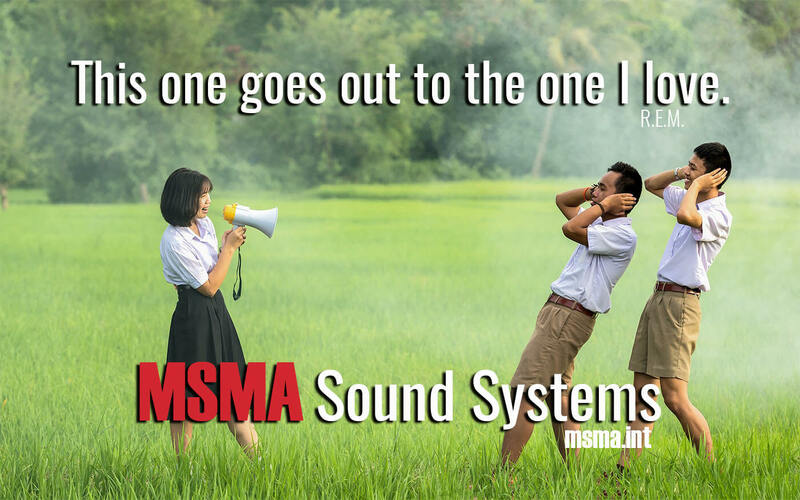 We know the industry – we have many years of experience. Text, layout, graphics: One-stop shopping with More Sports Media – from the initial idea to the finished publication. We write, edit or translate your texts, photograph your projects, edit your pictures and plans or build your new homepage. And More Sports Media ensures that the world knows about it: whether it be print or online, professional journal, portal or newsletter – we have know-how, experience and contacts to new and old media.